Hello. I have not been consistent in blogging, commenting on other’s blogs, or doing much on social media. 2018 was filled with a lot of stress. I am determined to work through this depression and procrastination to turn 2019 into a happier more productive year. With that being said, I am jumping into a blog prompt from 1 of my favorite blogs, Mama Kat’s Losin’ It. I chose prompt number 6: Tell us about the best book you read in 2018. I received an advanced copy of “An Anonymous Girl” which was published January 8th 2019 by St. Martin’s Press. An Anonymous Girl is probably the best book I read in 2018. It begins with a young woman, Jessica, who does in home make-up sessions to pay bills. When she finds a chance to earn quick cash to appear and participate in a survey on morality, given by the well known Dr. Shields, she takes it. Soon the study gets intimate and Jessica finds her morality answers may depend on her life. It’s a fast-paced novel that left me wondering how I would have answered the questions on the survey. It dives into a #MeToo movement and mental illness. Morality is questioned and it ask what would one do for money? What are the lengths someone will go for financial reasons? What’s your favorite book you read in 2018 and what are you reading now? Link up over at Mama Kat’s Losin’It Writer’s Workshop! See you there! A list of 15 ideas to make this your best year yet. Write about how you would spend the perfect Snow Day. Write a blog post inspired by the word: free. Share something that you worked on this week. 5. Working more on my goals with my Perfectly Posh business. 7. Write a plan on exercise: I’m not trying to lose a lot of weight… Just be more tone and in shape. 9. Getting my license back. 10. Finding an inexpensive car. 15. Going to a dentist to get my teeth fixed would make this the best year ever for sure. What can you list to make this your best year ever? You can link over to Mama Kat’s Losin It Writer’s Workshop. 1. Share a 10th grade memory. 2. Look into your archives. 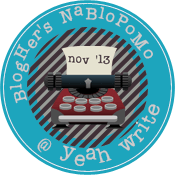 What were you blogging about a year ago around this time? Are you still dealing with the same thing? Your thoughts? 3. Write a blog post inspired by the word: falling. 5. 10 things you love about Spring. 6. Share a quote you love. 7. Spring Cleaning! Share a before and after photo of a room you recently tackled. This is a link up to Mama Kat’s Writing Workshop. 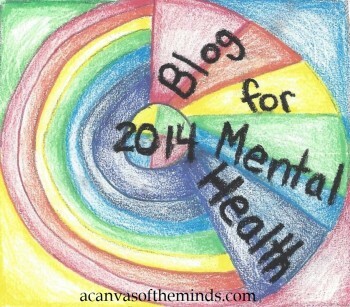 Hop over there, choose a prompt, blog about it, share, and read other’s post. Easy Peasy! It is rare for me to read a book that makes me cry. I’ve had books touch my heart in the same way a good song will. It was different with Looking for Mary Gabriel. I stumbled onto a part that you don’t see coming, and it’s shockingly heartbreaking. Bonita Gaberiel wants a normal childhood with a normal sister but there’s nothing normal about her younger sister, Mary. Mary suffers from a mental illness that causes her to act on impulse, see and hear things no one else can, and to take off without warning. Bonita’s father appoints her Mary’s keeper. At times it seems he’s only trying to instill the importance of family. Then there are moments when he’s asking too much and his motives are questionable. Bonita and Mary’s mother had a sister who suffered with mental illness that led her to commit suicide. Their mother worries it’s her fault and she doesn’t want Bonita to ever feel responsible for Mary but rather than share this with Bonita, it is kept secret from her. At times it appears their mother is wanting to protect Bonita and other times it seems she just can’t deal with her sister’s death. Bonita struggles with wanting to protect her sister and wanting a normal life away from Mary. A tragedy occurs which leads Bonita away from her family and then another tragedy happens that cuts Bonita’s ties with her family. She chooses a quite life hidden away from family and friends who love her more than she thought possible. With the passing of Bonita and Mary’s father, Bonita is forced to emerge from her hidden life to handle funeral arrangements and deal with Mary. What she thought was true is contradicted by what she learns is true. Beautifully and poetically written, the story of a family that is flawed is wonderfully conveyed on every page. ‘Looking for Mary Gabriel’ is a story that shares the love of family and the harsh truths about family making it relatable. It’s a book that can be read a 2nd and 3rd time; each time bringing some new fascination to the reader. I give it 5 stars and recommend it to everyone who loves reading. This was written for Mama Kat’s Writing Workshop – Prompt 3. Head over to Mama Kat’s and choose a prompt. 1. Something you learned in February. 2. Write a blog post inspired by the word: sleep. 3. Share a childhood story about a time you got lucky. 4. List 8 things you accomplished this week! Written for Mama Kat’s Writer’s Workshop. This is my first attempt to a limerick. I’m not sure I followed all the rules but I had fun writing it. Any thoughts on limericks? Feel free to comment.